During the first week of May it was Children's Book Week where I features some kidlit. I wanted to highlight another three beautiful books, this time with the theme of relationships. My review follows each book's description. I was so touched by this book. 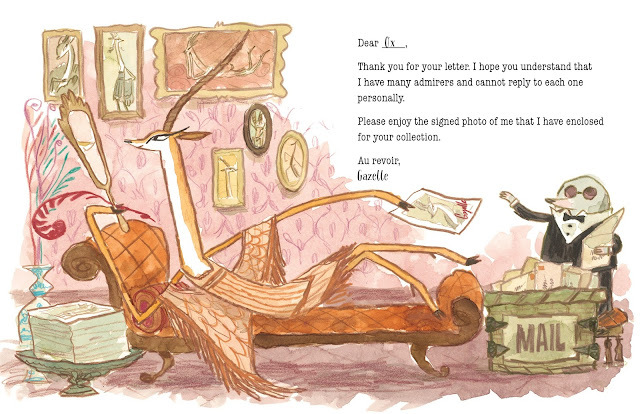 Ox is in love with Gazelle and so he writes her love letters. Gazelle's life is filled with admirers and she is conceited and unkind in her replies to Ox, brushing him off. However, Ox is undeterred and filled with so much optimism. He replies to her rudeness with honest, kind and guileless statements that it finally cracks her cold and selfish ego. Honestly, this book really made me think, and Ox won me over. 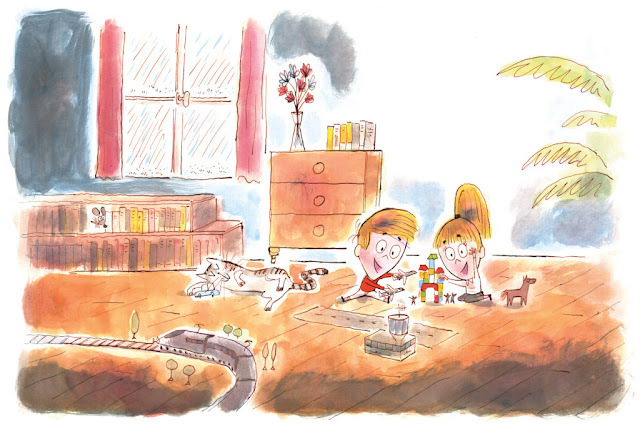 The watercolor and colored pencil illustrations are charming, suited for a book with a classical, old-fashioned feel. Ox looks like a farmer with his overalls and Gazelle looks like a graceful, 1920s movie star. I read through this book several times and even showed my husband who also thought it charming. I think young readers will enjoy this story told exclusively through letters about Ox who chose to see the good in Gazelle and who, despite her faults, loved her. When I read some of the reviews on Goodreads I was surprised to see that readers either loved it or hated it, viewing it more as a stalker story, which, again surprised me. I'm one of those who loved it. It seems to be controversial, but I guess it all depends on how you view it. Adam Rex has written several books for young readers including the New York Times–bestselling Frankenstein makes a Sandwich and The True Meaning of Smekday. His picture book School's First Day of School earned seven starred reviews and was a New York Times Bestseller. He lives now with his wife and son in Tucson. Scott Campbell is a maker of paintings, illustrations, comics, kid's books, and video games. He studied illustration at the Academy of Art in San Francisco, focusing on comic and children’s book illustration. He is the author/illustrator of Hug Machine. 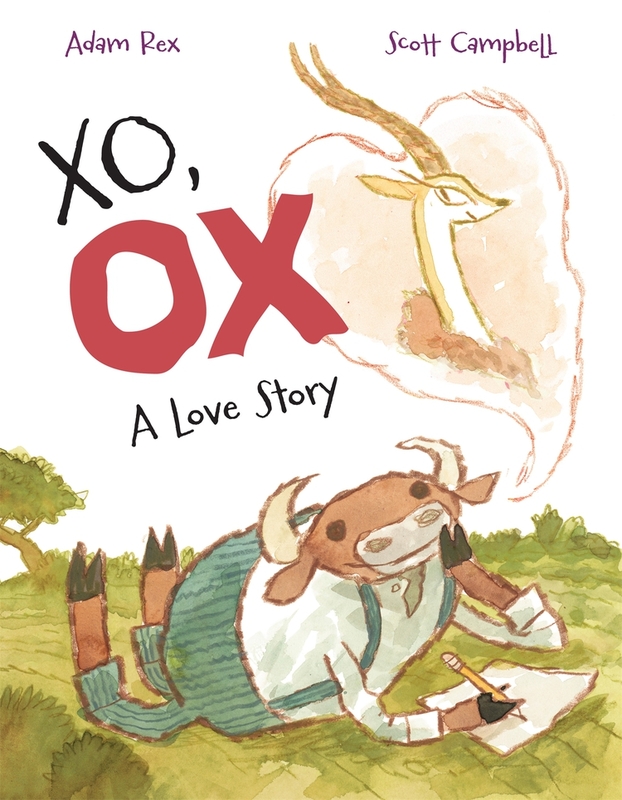 XO, OX is Scott's first book for Roaring Brook Press. A fresh, funny take on sibling rivalry and conflict resolution, as two sparring siblings are forced to "hug it out." Mom has had enough of Woody and Annie's incessant fighting. When her pleas for sharing and apologizing are ignored, she demands they "hug it out." At first, the warring siblings are confused. Hugging? But after a long afternoon of forced embraces, the brother and sister decide to call a truce to avoid yet another icky hug. However it doesn't take long for them to miss that newfound closeness. And soon they're looking for something to fight about so they can hug it out once more! 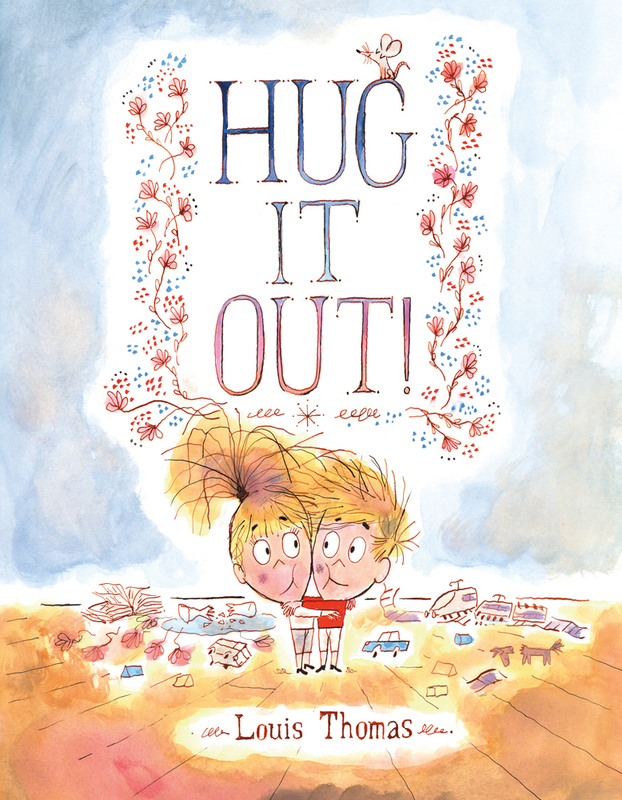 Adults will delight in a new solution to conflict, while kids will enjoy yelling "HUG IT OUT!" at each familiar situation. 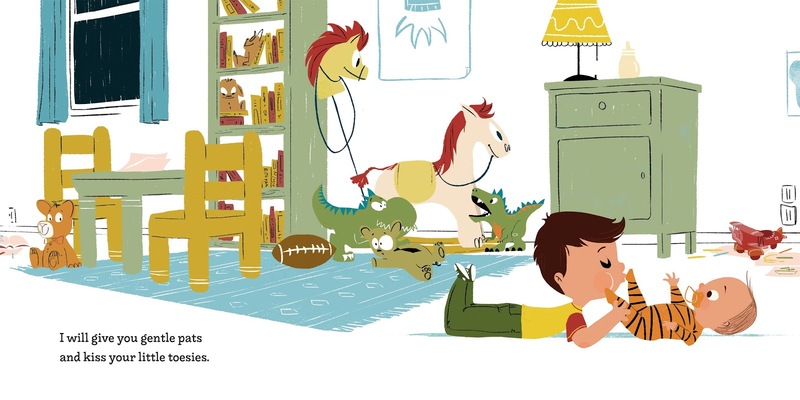 With subversive humor and smart, eye-catching illustrations, Louis Thomas's debut is a cheeky tribute to sibling rivalry and (cuddly) compromise. Woody and Annie are siblings (they could pass for twins, actually) who play together. But as is common among young children, they end up fighting. Their exasperated mother finally tells them to "hug it out" every time they fight. After doing this time after time, they finally settle down, but the hugging has grown on them and they realize they like it. This was a cute and funny take on sibling rivalry and how to resolve conflict. I can see it being a solution for young children 3-5 who readily hug when asked to say sorry. This is an unusual punishment which I think will delight young children and make them laugh. The author who is also the illustrator, uses simple but effective drawings and watercolor illustrations that emphasizes facial expressions. I especially liked the cat's facial expressions. He is in almost all the scenes and looks like his name could be Figaro. This is a great book for children who have siblings or for a teacher / educator to read to her preschoolers. Any child would be able to relate and the message that conflicts are resolved together is a good one. Louis Thomas graduated from Gobelins, Paris, and Calarts, Los Angeles, in 2012. He then worked full-time in Californian animation studios before returning to France. Louis currently lives and works with his cat, Pipo, in his art studio, which can be found between the Pantheon and the Luxembourg Gardens of Paris, France. Being a big brother is a BIG job. There’s lots to show your little brother . . .
How to be a dinosaur. There are games to play and adventures to be had. And if trouble comes, it’s big brother to the rescue because there’s no better friend than a brother. 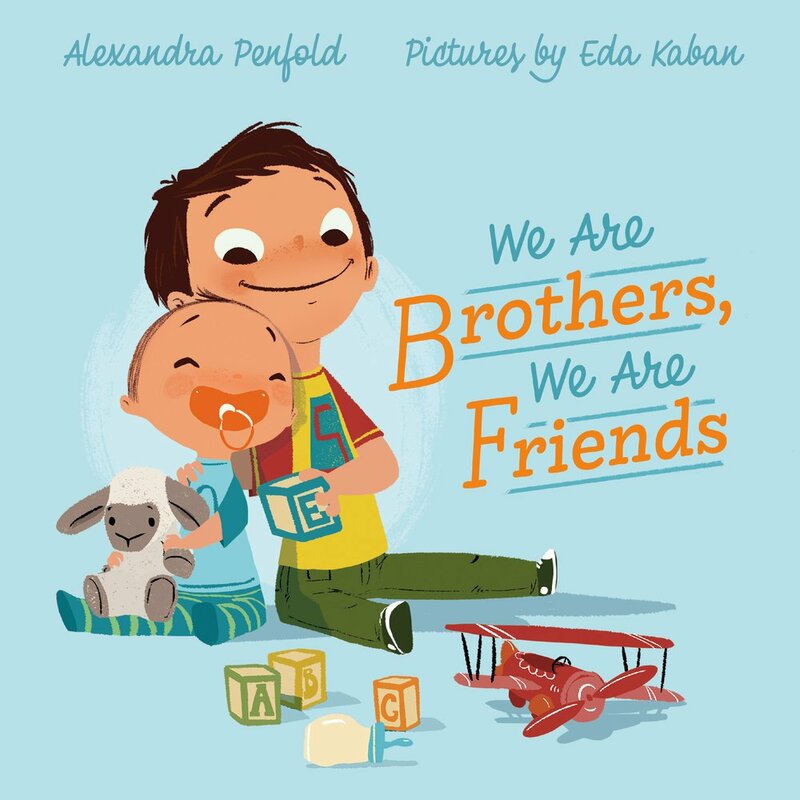 This is the perfect book for a boy who becomes a big brother. With few words it conveys how proud the boy is to have a baby brother who will look up to him, learn from him and play with him. There is a scene where the boy sees himself as the superhero coming to the rescue when his baby brother is crying and needs his pacifier. And another where he shows affection by kissing his brother's toesies. Truly, this is a charming and heartwarming book. It's ideal when parents want to prepare their child for the birth of another one. It can also be good for those children who are jealous of the extra attention given to the new baby. It empowers a big brother and helps him to establish his role and to ease the big change of another child in the family. The illustrations are charming and make good use of earth-tone colors. They suit the theme of the book. Alexandra Penfold is the author of Eat, Sleep, Poop!, illustrated by Jane Massey, and the co-author of New York à la Cart: Recipes & Stories from the Big Apple’s Best Food Trucks. She lives in Brooklyn, New York, with her husband and sons. Eda Kaban is an illustrator of children’s books, including Old MacDonald Had a Truck written by Steve Goetz. Her work can be seen in print and galleries from San Francisco to New York. She was born and raised in Turkey and currently lives in San Francisco, California, with her husband. Disclosure: Thanks to Raincoast Books for sending me these book for review. I was not compensated in any other way, nor told how to rate or review this product.